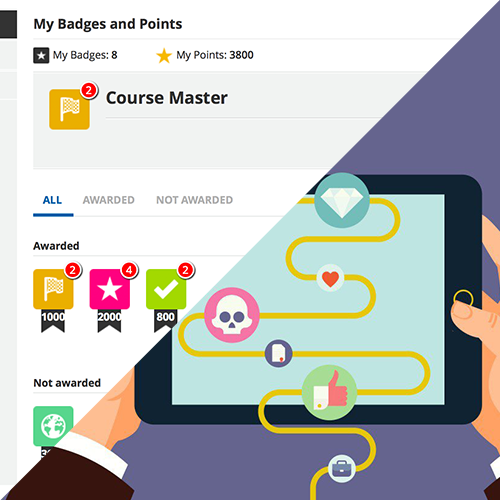 Gamification vs Game-Based Learning: What's the Difference? 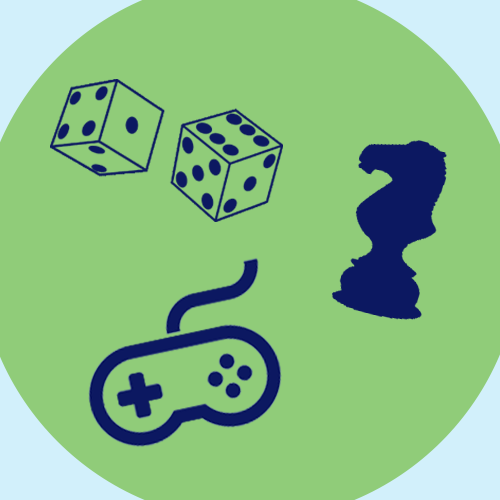 Gamification vs. Game-Based Learning: What’s the Difference? Every year, the NCAA invites people from all over the world to participate in one of college sports greatest spectacles: March Madness. If you are reading this from the United States, chances are high that you have filled out a NCAA men’s basketball bracket before. You know how it works: participants are given an online tool that lets them create bracket groups so they can compete with friends, family and colleagues. You choose which college basketball teams you think will win each round of play. For each team you get right, you earn points and for each team you get wrong, you lose the potential to earn points in the future. The goal is to earn the most points and pick the correct tournament champion. In 2015, the American Gaming Association and GfK Custom Research of North America estimated that almost 40 million Americans filled out more than 70 million March Madness brackets. The average bet per bracket was $29, totaling over $2 billion. So what keeps people playing year after year? The answer is simple: it’s fun! The NCAA takes the essence of what makes games so appealing (challenge, risk and reward), uncovers the mechanics that make them work (personalization, rankings and leaderboards) and applies these mechanics to the tournament. NCAA tournament pools are a form of gamification. The game of basketball is, obviously, a game. And games that also have a learning goal are called learning games. Using games for learning is called game-based learning. If you’re a bit confused, there’s no need to worry! You can easily spot the differences between gamification and game-based learning with a little practice. Want to design your own learning game? Sharon Boller and Karl Kapp share helpful game design tips in this recorded webinar. The application of these game-like elements to the NCAA tournament is known as gamification. 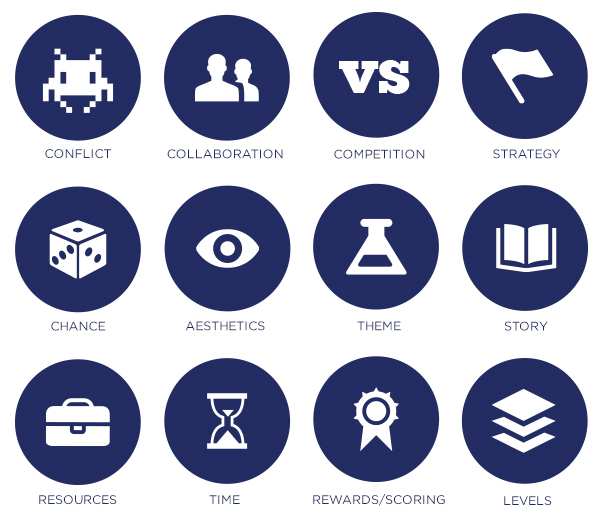 Simply put, gamification is the application of game mechanics to a non-game activity. Filling out a bracket is not a game in of itself. But when you assign points based on correct picks and add an element of competition, it becomes gamified. Karl Kapp describes gamification as “an emergent approach to instruction which facilitates learning and encourages motivation through the use of game elements, mechanics and game-based thinking.” The purpose is to engage and motivate learners to become active participants in their own learning process. This curriculum included an illustrated map of the business process that was used to gamify the course. Learners journey through the business making stops along the way to identify the hazards and learn how to stay safe on their sites. In this curriculum, we designed a gamified blended learning curriculum for a new product launch. The curriculum is both gamified as a whole and contains numerous competitive and collaborative games. Game-based learning uses learning games to achieve an instructional goal. If you hear someone discussing game-based learning, learning games or serious games, you can assume they generally mean the same thing. What makes the game of basketball different from a pure learning game? The answer is a learning goal. Learning games have both a game goal (what players must do to win) and a learning goal (what players are to learn through playing the game). The term game-based learning describes the use of games for learning. 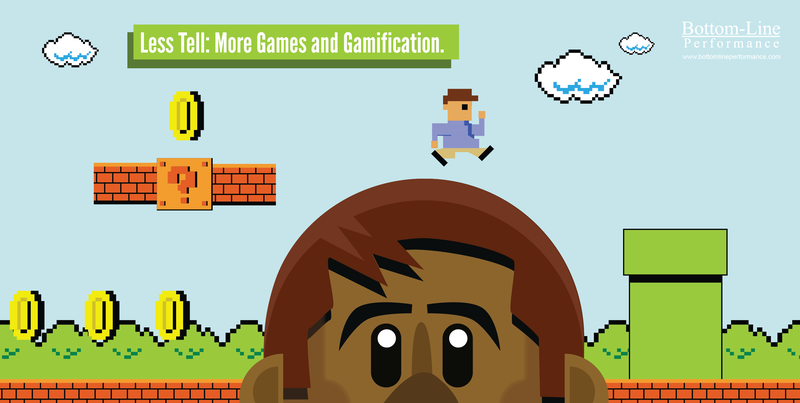 Oftentimes, people use gamification and game-based learning interchangeably. But when you take a closer look, the two have certain characteristics that make them unique. 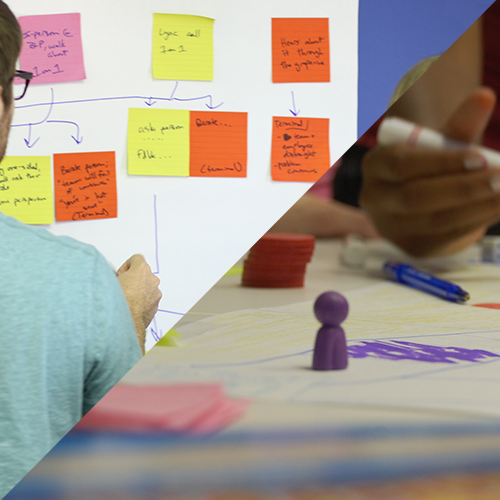 Unlike gamification, game-based learning involves an actual game that helps people learn. Players will either know something or be able to do something as a result of playing the game. Below, you can see a few examples of games we’ve created. We partnered with TE Connectivity to create a mobile learning game for smartphones. 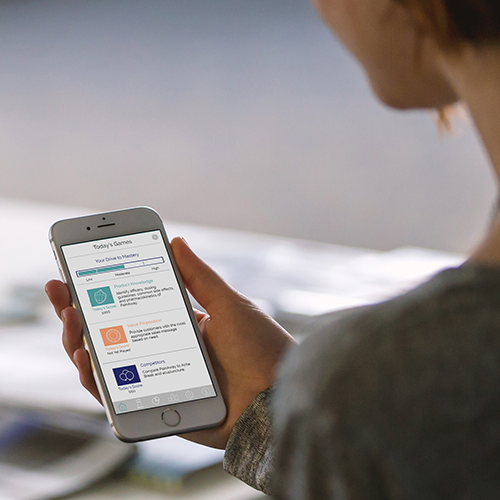 The app helps distributors learn about their customers, and the applicable products for each customer so they can position the right products with the right customers. 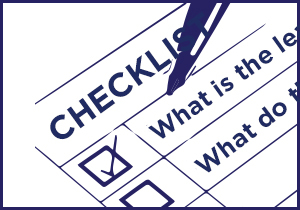 This organization is tasked with creating Information Asset Protection (IAP) policies and procedures to protect sensitive information, and to educate employees on how to follow them. As part of the curriculum, learners played an arcade-style game where they score points by identifying strong and weak passwords. Our Knowledge Guru platform is a great example of game-based learning and why it works. Each Knowledge Guru game has its own unique combination of points, badges, leaderboards, mini-games, story, aesthetics, power-ups and more. Sharon Boller and Karl Kapp introduced nine steps to effective learning game design in a live webinar on March 28th. Attendees heard their perspective on the three most critical and overlooked learning game design steps and had the opportunity to participate in Q&A. https://www.theknowledgeguru.com/dev/wp-content/uploads/2017/03/gamification-vs-game-based-learning-featured.png 500 500 Holly Bradbury http://www.theknowledgeguru.com/dev/wp-content/uploads/2018/04/knowledge-guru-by-blp.png Holly Bradbury2017-03-21 13:35:252017-07-11 13:33:06Gamification vs. Game-Based Learning: What's the Difference? 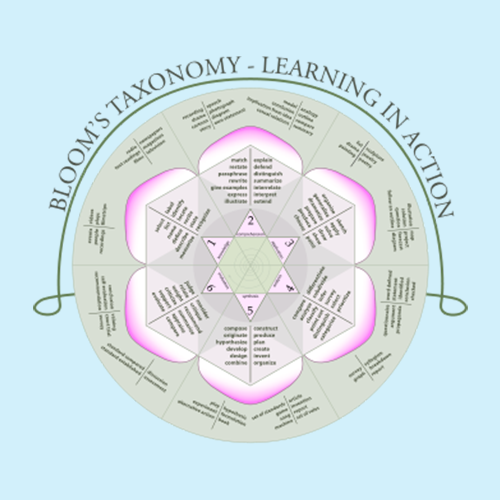 Bloom’s Taxonomy and Learning Games Instructional Design vs. Learning Game Design: What’s the Difference?